Republicans say nonpartisan contests would allow voters to focus on local issues, while Democrats argue the move is an attempt by Republicans to hide their party affiliation in rough election year. Voters in Mt. 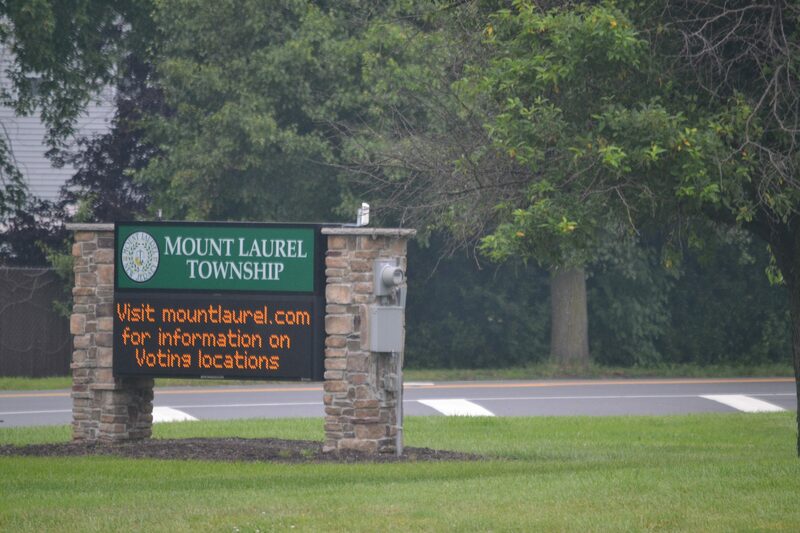 Laurel Township might have some soul searching to do later this year regarding the timing and potential partisan nature of their municipal elections. As of this week’s Mt. Laurel Township Council meeting, Republican Mayor Kurt Folcher has directed the township’s solicitor to draft an ordinance that, if passed by council, would put a referendum on the ballot this November asking residents to decide whether the township should move its council elections from November to May. As outlined by state law, townships in New Jersey can hold their municipal elections on one of two dates each year – either on the general election ballot each November or on the second Tuesday in May. For townships that elect to hold their municipal elections in May, state law dictates the contests become non-partisan affairs, meaning the candidates cannot run under a party banner or have a political affiliation listed by their name on the ballot. In recent weeks, the three members of council’s Republican majority have spoke in favor of having Mt. Laurel’s township solicitor research the possibility of moving elections. The idea was first suggested by a resident at a township council meeting several weeks ago, and since that time, some members of the majority on council said they were concerned that municipal elections in November have become entangled with national and state issues that may not necessarily affect Mt. Laurel Township on a local level. With municipal elections currently scheduled in November, the contests can sometimes fall on the same ballot such as votes for referendums, boards of education, county-wide races, the state legislature, governor, Congress and the presidency. “This change would give all Mt. Laurel residents a say and allow residents that aren’t affiliated with one of the major parties to run for council and have a chance of winning,” Republican Councilman Irwin Edelson said in previous comments made to The Sun. Mt. Laurel Deputy Mayor Linda Bobo, who was absent from this week’s meeting, also had similar comments to Edelson when first contacted by The Sun several weeks ago. The two members of council’s Democratic minority, who were elected in November, have been opposed to moving elections and have described the idea as an attempt by council Republicans to control the outcome of future elections in their favor. Councilmen Kareem Pritchett and Steve Steglik have also argued that holding a separate election outside of November would cause a drop in turnout and increase costs for the township. In addition, in comments Pritchett made to The Sun several weeks ago, he noted that although he unsuccessfully ran for a seat on council in 2016 against all three of council’s current Republicans, no member of council publicly called for a change in the township’s municipal elections after his initial loss. Pritchett said it was only after the election of two Democrats in 2018 –including himself as an African American – did a discussion on potentially moving elections begin. “Democracy is very important so we can be able to choose – and it doesn’t matter what’s going on in the nation – we still can go to the polls and choose who we want to represent us,” Pritchett said at this week’s meeting. For his part, Steglik said he wanted to echo his fellow Democrat in that he believed voters deserve to know who agrees with their values when they enter a voting booth. Also affecting the discussion of potentially moving elections is a process outlined by Mt. Laurel Township Solicitor George Morris at this week’s meeting that might ultimately result in Mt. Laurel continuing to hold its municipal elections in November while also making the elections nonpartisan. First, Morris said council would need to approve an ordinance creating a referendum for the ballot this November, through which voters would make the decision on whether to keep elections in November or move them to May. Then, if the voters approve moving elections to May, Morris said the elections would become nonpartisan contests. However, Morris said his research determined that council itself could then immediately vote on an ordinance – with no additional referendum needed – to move the municipal elections back to November, except the municipal election would still retain the nonpartisan status it gained from moving to May. With the elections remaining in November, Morris said the county would remain responsible for running the contest, potentially alleviating concerns about increased costs. “I think that eliminates those concerns that were raised by the public as to voter turnout and cost,” Morris said. Morris also outlined the scenario in which voters were to approve a referendum moving municipal elections to May and then council were to then leave the elections at that time of year, which is also a course of action council could decide to take. According to Morris, in that scenario, all members of council would have their current terms extended slightly. The seats of the three members of council up for election in November 2020 – Folcher and fellow Republicans Bobo and Edelson – would move to the potential election of May 2021. The seats of the two council members currently up for election in November 2022 – Democrats Pritchett and Steglik – would move to the potential election of May 2023. With a May election, council’s annual reorganization meeting to seat newly elected members would be held in the following July, as opposed to current reorganization meetings that are held in the January following November elections. Although members of the public could not comment on Morris’ report, as it was scheduled for after the portion of the meeting for public comment had closed, some members of the public did share their general thoughts on the township potentially moving elections beforehand during general public comment. Similar to the past several council meetings, outside of the original suggestion by the one resident several weeks ago for council to looking into the possibility of moving elections, no additional members of the public spoke in favor of moving elections. The next meeting of the Mt. Laurel Township Council is set for April 22 at 7 p.m. at the Mt. Laurel Township Municipal Building.